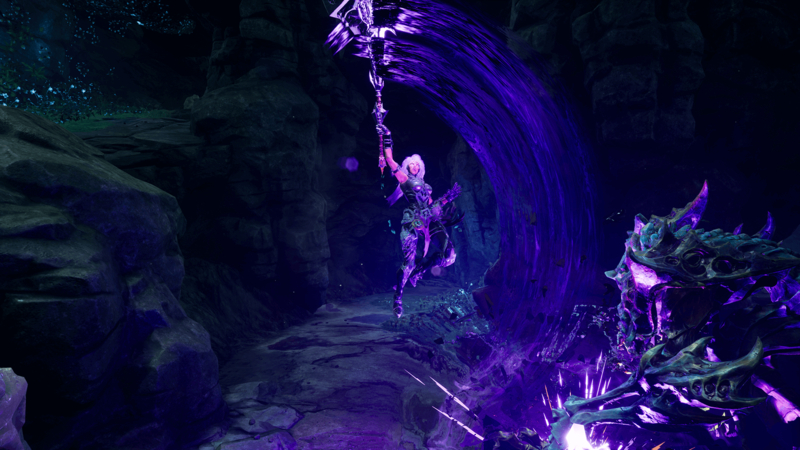 If you’ve spent any time on the gaming internet today, as we all usually do every day, you probably know by now that THQ Nordic stepped in a big, steaming pile of Bad Internet. It’s sort of hard to say how deliberate it was, but regardless, this is about as bad as bad looks can possibly get. We’re in the official damage control phase at this point, but it goes without saying that regardless of what internal communications breakdowns took place, the actions and subsequent statement of apology don’t exactly match. Let’s take a look at what might go down as the worst marketing move in modern gaming history. Whoops! Now we have a severe messaging disconnect between, “oops sorry, we didn’t know what we were doing,” and “wow get a load of these Sensitive Simons out here doing outrage culture!” All extremely public, all out there forever whether or not some of this stuff eventually gets deleted. As of the time of this writing, both the apology and the original tweets promoting and justifying the AMA are still live, sending a pretty confusing message. It’s hard to say where we go from here, but if the answer isn’t “more statements,” I’ll be pretty shocked, personally. 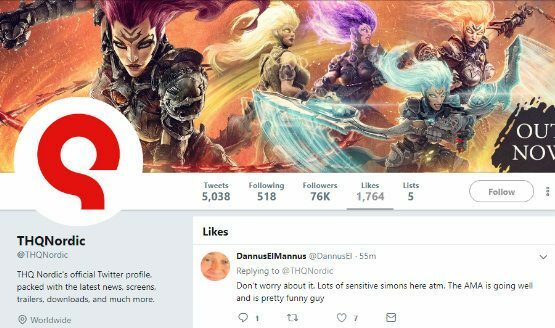 As fun as it can be to hop into a dogpile for this sort of egregious marketing mishap, it’s important to note that this is happening in the middle of THQ Nordic going out and acquiring all kinds of IP and developers. Now, the people outside of the marketing team who had nothing to do with this nonsense have it all hanging over their heads. 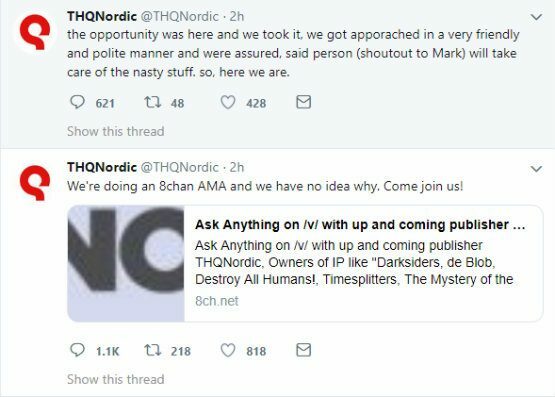 THQ Nordic’s public-facing representation stepped on a giant, blinking landmine that literally shouted, “hey, yo, you shouldn’t step on me,” opted to double down, and now has to deal with an explosion that shattered the whole company’s reputation in less than an hour. Meanwhile the folks who made Darksiders III for example have to sit and quietly watch this storm and hope it somehow blows over.